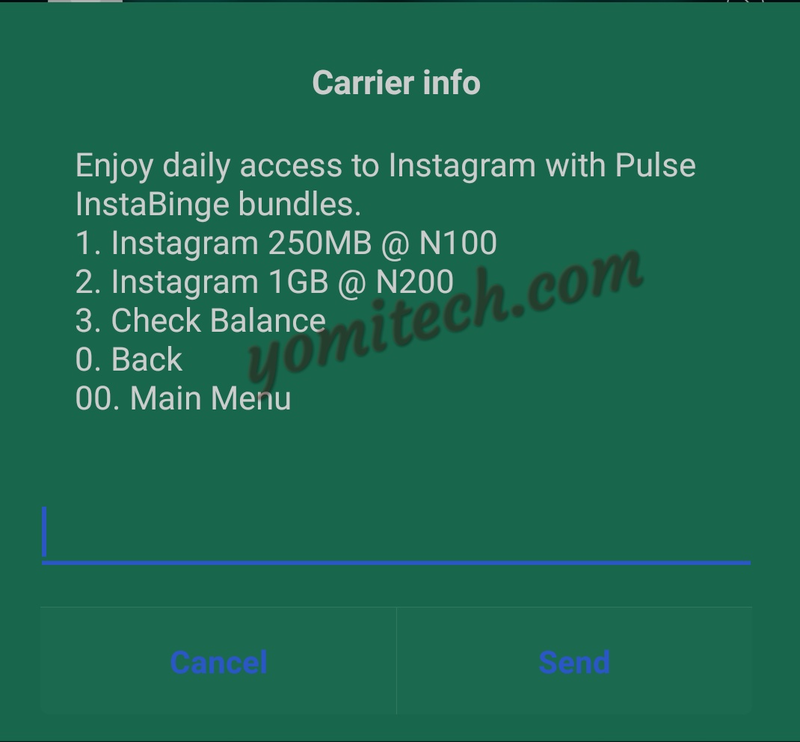 MTN has just introduced a new data bundle foe Instagram users which is called the MTN Pulse InstaBinge bundle. This plan will give you access to Instagram at a very affordable rate. With the MTN Pulse InstaBinge, you will get 250MB of data for N100 and 1GB of data for just N200. Both of which are valid for only 24hrs. 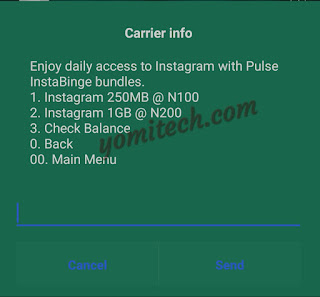 The InstaBinge bundle is however available for MPULSE users only. >> Make sure you are on Pulse tariff plan or dial *406*1# to migrate. >> Dial *406# and select 5 for InstaBinge bundles. >> Send an SMS INSTD1 to 131 for InstaBinge Lite bundle and INSTD2 to 131 for InstaBinge Heavy bundle. >> To check the InstaBinge data balance, just dial *559*39#.